I’m sure you know this by now, but I’m constantly inspired by fellow creatives and entrepreneurs. So today I’m pleased to introduce you to yet another one of my #FearlessWoman inspirations, Amy of Straight A Style. I’ve been a blog reader and fan of Amy’s for months. Aside from her effortless and fashion forward style, I’m also intrigued by her blogging consistency and transparency in her posts. She’s more than just fashion; she’s a wife, an entrepreneur in the making, and someone who makes the latest fashion trends work for her. I’m always impressed and inspired by style bloggers who can do that. Be sure to check out her interview below, as well as her latest post on the blog. Enjoy and be inspired! What’s a typical day for Amy? I work as an Admission and Enrollment Coordinator at a local university. I have a degree in secondary mathematics education, so although I no longer teach high school math, I love that my job keeps me in education and connected to students. I really enjoy it. Of course I often blog at night or in the morning before work. If it’s a day I need to take outfit photos, I will meet my husband during lunch or after work. I love to cook, so we eat at home most nights. In general, we are pretty boring and normal. What inspired you to create Straight A Style? My blog started as a personal one called The Real Arnolds. I never intended to be a fashion blogger. 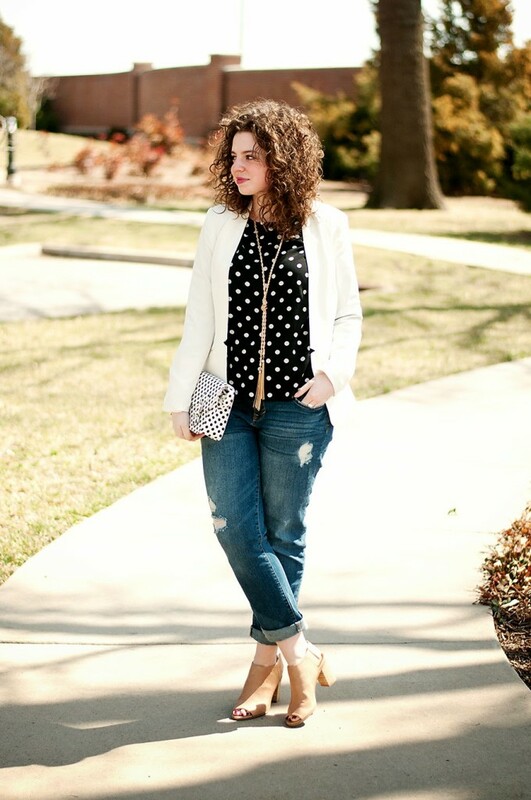 I have always loved clothing and style, and so I incorporated it into my personal blog. It just slowly evolved into what you see now, culminating in a recent name change and site makeover. Who are 3 of your top women inspirations, famous or non famous, and why? What a hard question! I know this may sound cliche, but my Nana and my mother are definitely two of them. My Nana was an artist with very distinct and amazing style. She influenced us all, especially my mother. I was very close with her and am very close with my mom. They are both amazing women, style aside, and inspire me every single day. I really don’t know that I can pick just one more woman. In general, I admire women. I love how we build each other up and relate to one another. 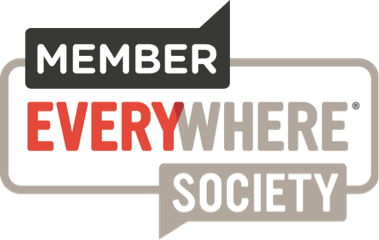 This blogging community has been such a great example of that for me, and I am really thankful to be a part of it. One piece of advice for women entrepreneurs. One thing that sticks out as the most helpful to me in this blogging journey was a conversation with a dear friend. I was expressing worry over whether or not my thought life was out of balance in relation to blogging. The reality is a fashion blog is all about you, so you kind of think about yourself a lot. It’s strange, and I was struggling with it. She told me that my blog was sort of like a part-time job, and it was okay for me to think of it that way. I spend a lot of time thinking about my job, so it would be natural for me to spend time thinking about my blog too if it was a job. Thankfully it’s a really fun job with lots of perks, so it doesn’t even feel like one, but her words helped me put it into perspective. I would say that a #FearlessWoman is not one who doesn’t have fear, but instead she is one who doesn’t let her fears have the final say. We all have fear. I don’t think we can say we don’t. It’s what we do with them and how we handle them that make us fearless. In five years, I hope to have a family. I’m so happily married. My husband is an incredible man. We are currently experiencing some difficulty having a baby. It’s funny because I was never a woman who saw myself as particularly motherly. We were not in a rush to have a child. After dating long distance all through college, we wanted to enjoy being married and take our time having kids. Infertility is not a road you ever imagine walking down though. Yet, here we are. Whether we are able to have a child naturally or we ultimately adopt, we are open to whatever God has planned for us, and I look forward to seeing it unfold. I have fear about it all for sure. So I’ll keep you posted! Alissa is a recent college graduate from Kansas. Thanks to Bloglovin‘, I found her site a few months back. I enjoy the way she incorporates some of the latest trends in her OOTD posts without losing her sense of personal style. It’s a genius, stylish mix! 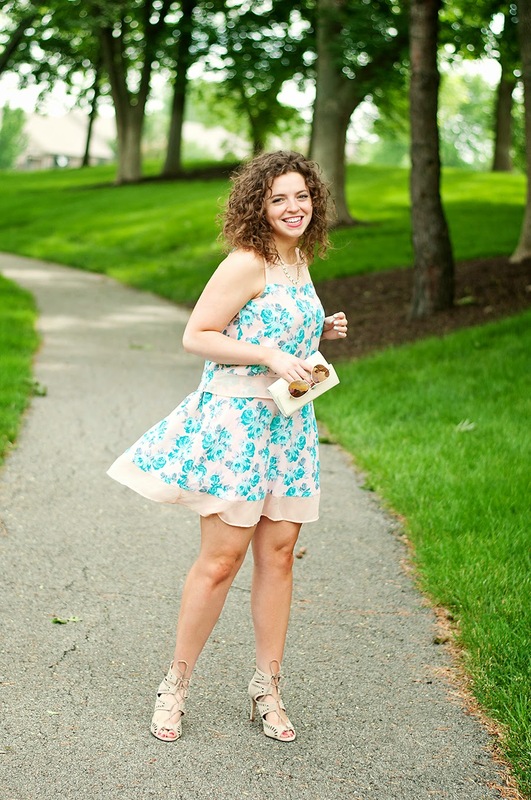 She has a witty sense of humor and knack for making you cry laughing while reading her posts! 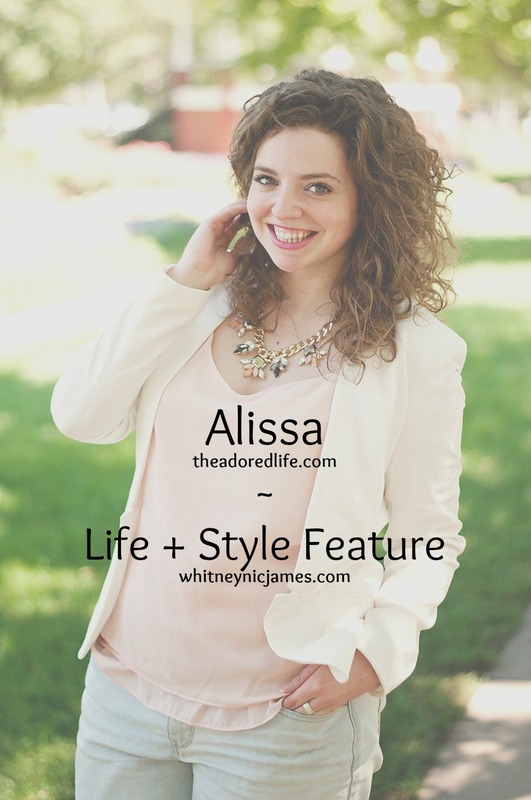 Always wearing the pretties baubles and cutest heels, Alissa is indeed living the “Adored Life“. 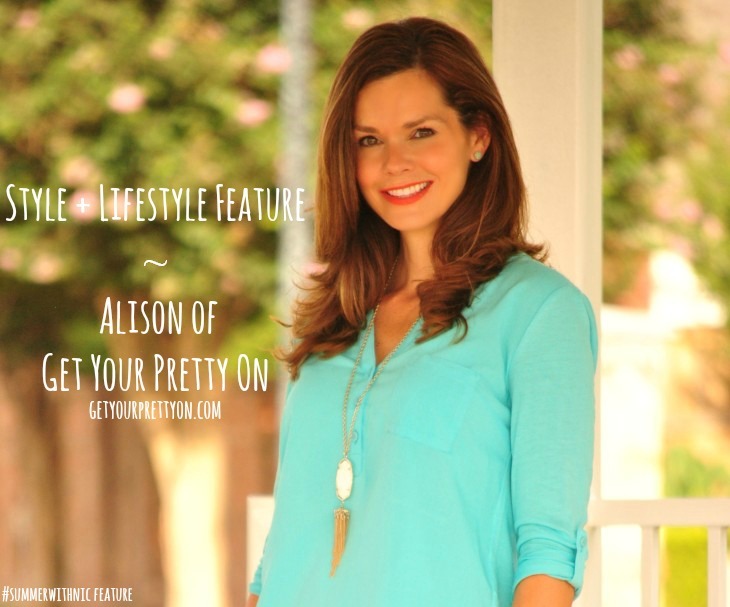 Be sure to hop over and check out her blog after you’re done reading her interview. Enjoy! Where are you from & where do you currently live? I’m from Wichita, Kansas. I currently reside in Kansas City, Kansas. This has always been hard to define for me. I feel like my friends are better able to identify my style before I am! Name 5 wardrobe staples every woman should own. Jewelry & Accessories: Hello Cheeseburger for almost all of my accessories lately! I’ve been blogging for about two years. This includes about six months where I was just writing for myself and had no intention of anyone ever reading it! I look back and cringe on those posts but have to embrace that I was at that spot at one time and move on. Have you attended any blogging conferences? If yes, what’s the most memorable thing you’ve learned? I haven’t attended any conferences but I’ve gotten to do a lot of online classes. Since I just recently graduated college I haven’t been able to afford a lot of extra expense for blogging but attending a conference is on my list of wants! Who or what inspires you and keeps you motivated? I think that it’s a mix of the people that I surround myself with and life in general. I have an incredible support system of independent women and supportive men that encourage me to go what I want. I’m also really inspired that I live in 2014 and get the chance to start my own career, even as an entrepreneur at the age of 23 and that is perfectly acceptable. Sometimes that means that you have to juggle three different jobs and lose some sleep but I am so lucky that I get to chase not only one of my passions, but three! I really love Olivia Palermo and her everyday style. She never looks overdone but always polished and chic. I am also very inspired by TV shows such as House of Cards and Mad Men. The costume design is just incredible. It’s not always my aesthetic but I appreciate the beauty of every outfit. Claire from House of Cards has a sleek, powerful but subtly sexual wardrobe and I love it. If I could say one thing, it would be to blog for yourself. Don’t blog because you want attention, money or companies to work with you. If you don’t find out who you are, what your voice is and do it for yourself you will lose who you are and every bit of criticism will destroy you. Take the time to be confident in who you are and your voice. Don’t do it for anyone or anything else other than you. 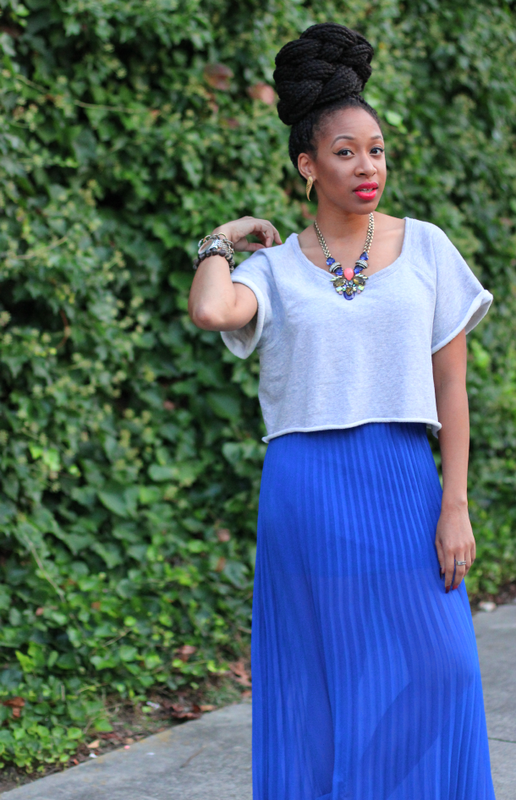 “Live what you love” is the motto style blogger Mattie James of Mattieologie lives by. 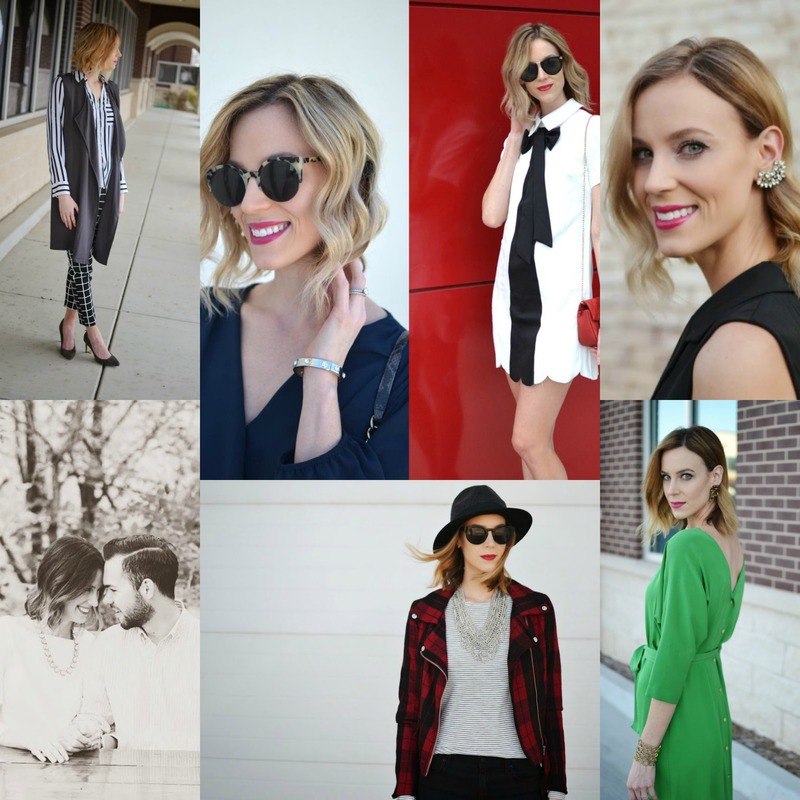 A woman with drive, style, and passion, Mattie has been in the blogging game for almost 5 years. When I first started, I found Mattie on Twitter and I was instantly intrigued by her colorful tweets about life, style and pop culture. I clicked the follow button and I’ve been hooked ever since! Residing in Atlanta, Georgia, Mattie has spent the last few months preparing to be a new Mommy! 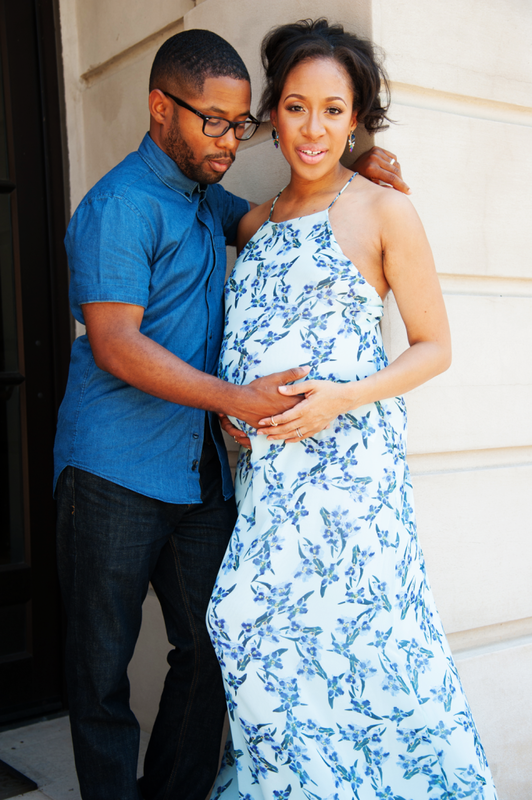 Due in just a few short weeks, Mattie and her husband are patiently waiting for #Babyologie’s arrival. Read more to find out Mattie’s take on style and blogging, as well as her advice on finding your passion in life. Enjoy and be sure to stop by Mattieologie to say hello! I kind of grew up everywhere from Huntsville, AL (where I was born) to Saudi Arabia (where I attended preschool) to Pittsburgh, PA (high school and college), but I currently live in Atlanta where I spent part of my childhood as well. Actively feminine. It’s on trend and on the go! Clothes – Obsessed with ZARA. Their pieces are on trend and don’t break your pockets. 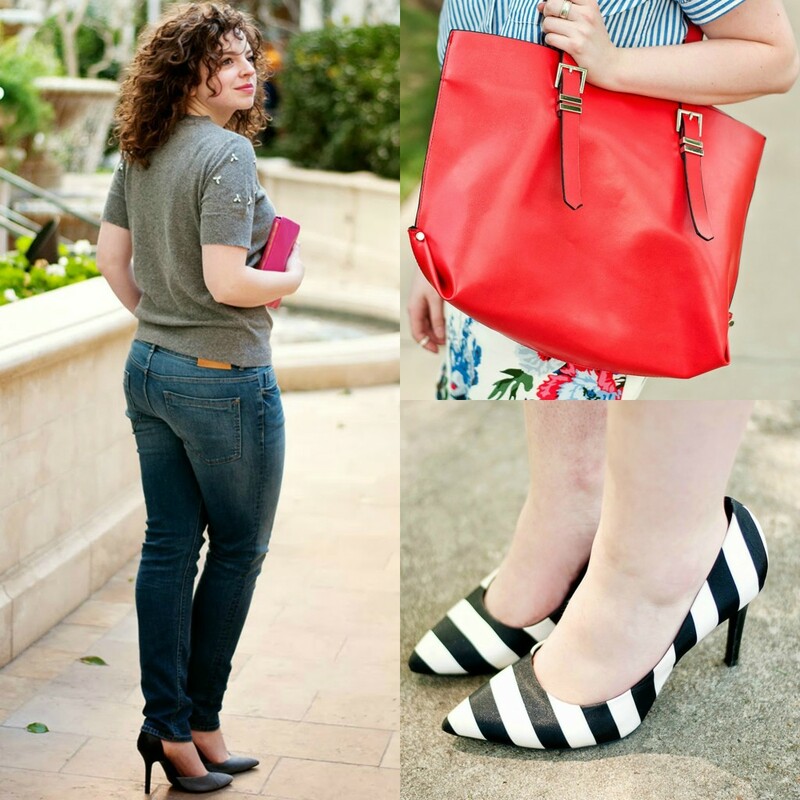 Shoes – If not ZARA, then I love Piperlime and Zappos. Online shopping tends to give me more variety. Jewelry & Accessories – I’m a little more flexible in this department because I love statement and costume jewelry. I get them from Neiman Marcus, BaubleBar, Macy’s, Forever 21 or even small, independent shops (online and in store). I tend to keep it name brand when it comes to sunglasses though. I’m a sucker for Ray Ban aviators. 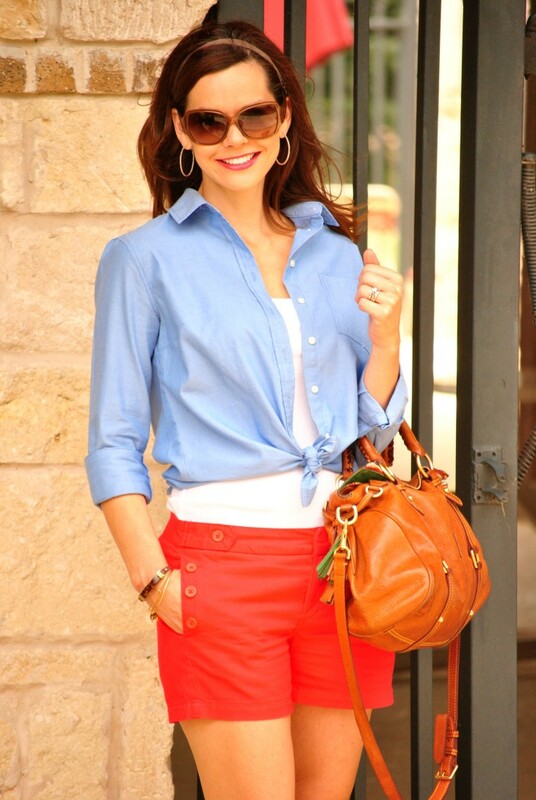 Name 5 must have wardrobe staples every woman should own. January will make it 5 years. 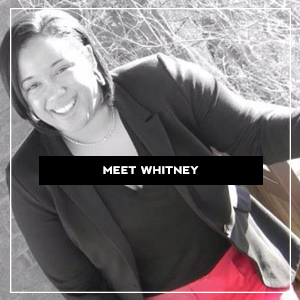 What inspired you to start Mattieologie? I was in retail management at the time and it was draining me. I didn’t get to be creative or myself really. The blog became a source of escape. The best part is that I dictate what content I produce. If I love it, I’ll usually blog about it. I’m the say so. I’m the standard. That’s also the tough part. In an internet world of millions of blogs, how do you stay consistently yourself and still be authentic? 5 years ago I was just about to get married and I was an intern. Now, I’m a homeowner, wife and soon to be mom. My taste has changed. My style and perspective as well. So you don’t want to throw your reader off and say, “Hey I’m a new person now. I’m no longer interested in X, Y and Z.” But it’s important to me to be consistent and truthful. 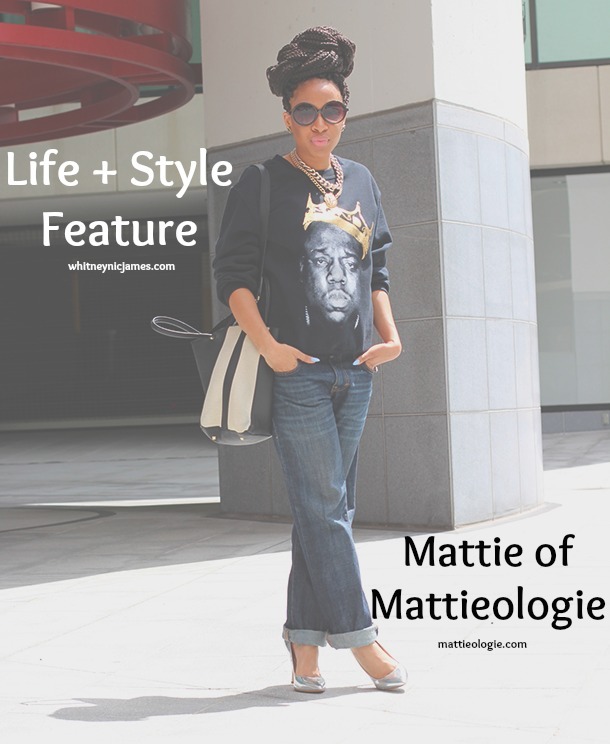 That’s the only way Mattieologie will what it’s supposed to as a blog. What’s your ultimate goal for Mattieologie? It’s the overall foundation for my personal brand. It’s been my resume for my freelancing gigs and the bridge to my brand partnerships. As I get bigger and better, I want it to be reflected in my blog to show my growth as a blogger and a person. Believe it or not, I make me happy and it took awhile for me to get there. Because if you’re not happy with yourself, how can you be happy with anything or anyone else? So, my happiness starts from within and everything else is a bonus…the cherry on top. I’m inspired by people and things that challenge me. Most things come easy to me, so when something doesn’t, I know it’s really worth it. Blogging is one of those things. Also, I’m obsessed with fashion magazines and beautiful photographs. I love pretty things. They inspire me to create. 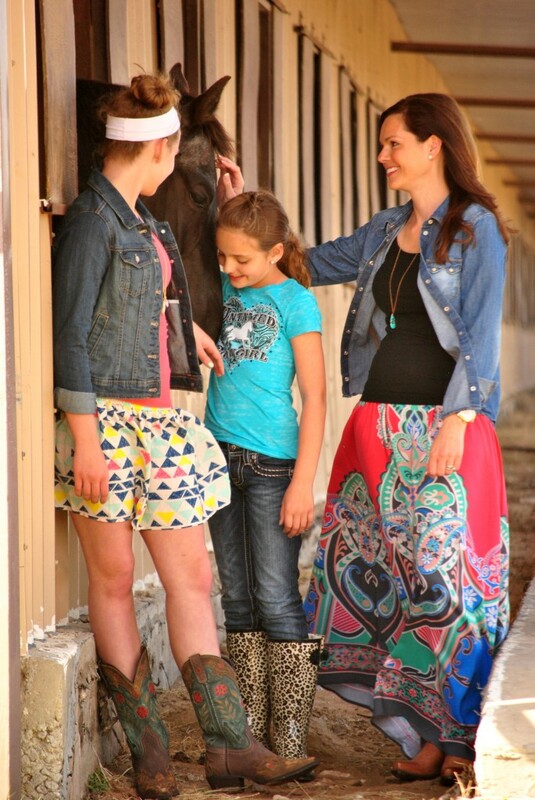 As a wife, mommy-to-be, and an entrepreneur, how do you find balance in your everyday life? I read an interview where Gwen Stefani said, “You’re going to fail at one thing a day.” Once I came to that realization, I found balance. Perfection is very fragile so it’s not something I aim for in my life. I aim for progress. The house may get cleaned, dinner might have gotten cooked and I may have called that family member I’ve been meaning to catch up with for months now. But then that means, I didn’t get to film a YouTube video like I wanted to. And you know what? That’s ok. Tomorrow, I’ll just aim to be better. Which is fine by me because I never want to stop striving. What are 3 things you do to maintain a healthy lifestyle? Prayer, water and giving. In that order. LOL. I’m a Christian, so I go to God for guidance through prayer. It’s not just about what He’s saving you from, but what he’s taking you to. Water is important because it solves everything. Dehydration, dry skin, headaches…everything. A lot of times we’re not sick, we’re just thirsty. As someone who can be very self involved, I’ve learned that giving is one of the most fulfilling things you can do in life. Especially giving with no expectation of a return. That type of selflessness is reward in itself. And if you ask me, great for your skin. How did you find your passion and purpose in life? What was you “ah-ha” moment? You have to be explicitly honest with yourself: WHAT DO YOU WANT? Answer that question honestly and boldly regardless of judgement of yourself. A couple of years ago I realized that I wanted to make a living off of being myself. Not to be rich or even famous. But to make a living – a respectable income – by being me. So whether I’m making a YouTube video, writing a style post, teaching a workshop or simply Instagramming my vacation, I want to make a living off of ALL OF THAT. You cannot get what you want until you DECIDE what you want. Once I became decisive, things in my life started to go more my way and that was the “aha” moment. What advice do you have for someone who’s trying to find their passion and purpose in life? Be decisive. That’s really a lot of our problem. We haven’t decided who we wanted to be yet. And if we don’t make that decision, someone else will make it for us. And it’s usually not in our favor. Ask yourself what do you love? What kind of life do you want to have? And make the decision to live what you love. It’s honestly that simple.